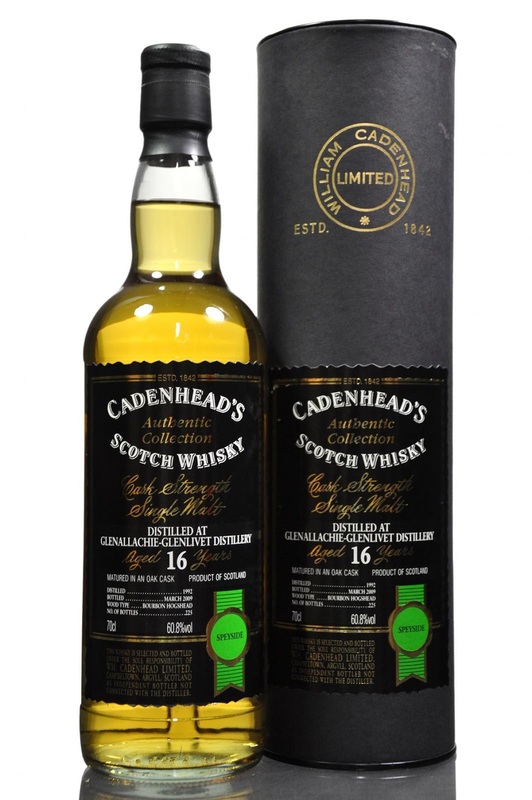 From Cadenhead comes this 16 year old Glenallachie. It is matured in a Bourbon hogshead and only 225 bottles were made. Loads of vanilla in the smell, but don’t get your nose to close! It is over 60 % and it is showing! Some nuts and honey as well. Alright, the notes from the taste and the finish wasn’t very positive! It isn’t that bad, but my first impression and my main focus just involves these flavors. Don’t be afraid of using water! It definitely suits this whisky. I will give this 80/100 (20/19/20/21).